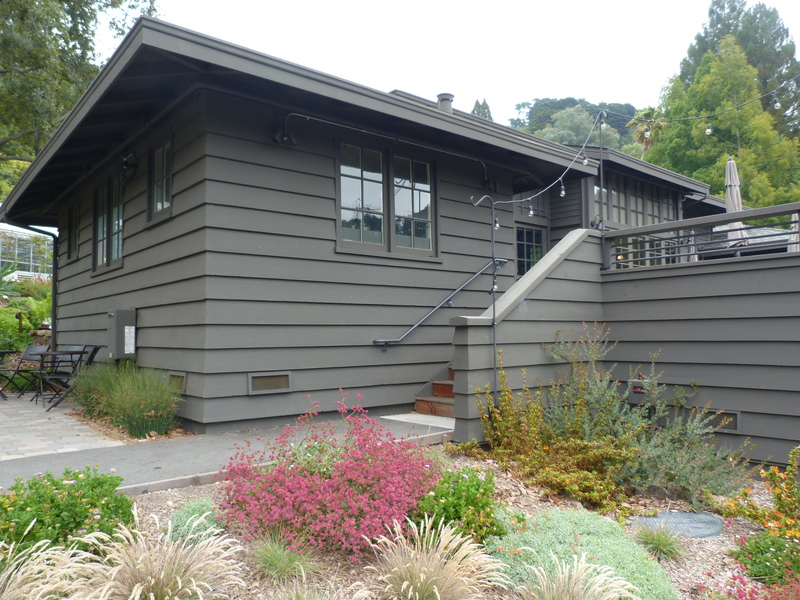 On a chilly, foggy morning, typical for summer in the Bay Area, we prepared for our annual Steering Committee meeting in cozy Julia Morgan Hall at the UC Botanical Garden at Berkeley, surrounded by trees and plants from all over the world. As the meeting’s start time approached, members of a group almost as diverse as the garden’s collection arrived and greeted each other. These leaders from within nursery and landscape industries, non-governmental organizations (NGOs), academia, and government readied themselves for a full day of program reports, strategizing, and lively discussion, plus a tour of the garden led by its curator. Like Frodo and his companions, the members of this group came from different places, with different areas of expertise, for a common purpose. What brings such a group together? It’s a problem we humans caused that spreads from our gardens and fields to roadsides, waterways, grasslands, and forests — invasive plants. It’s a topic you probably wouldn’t think about on a daily basis unless you work for the California Invasive Plant Council (Cal-IPC) or another organization that deals with the issue. However, once you know what these invasive plants are, you will see them everywhere. Managing invasive plants costs California at least $82 million each year, and about half of them were introduced through horticulture — which is where the nursery industry comes in. 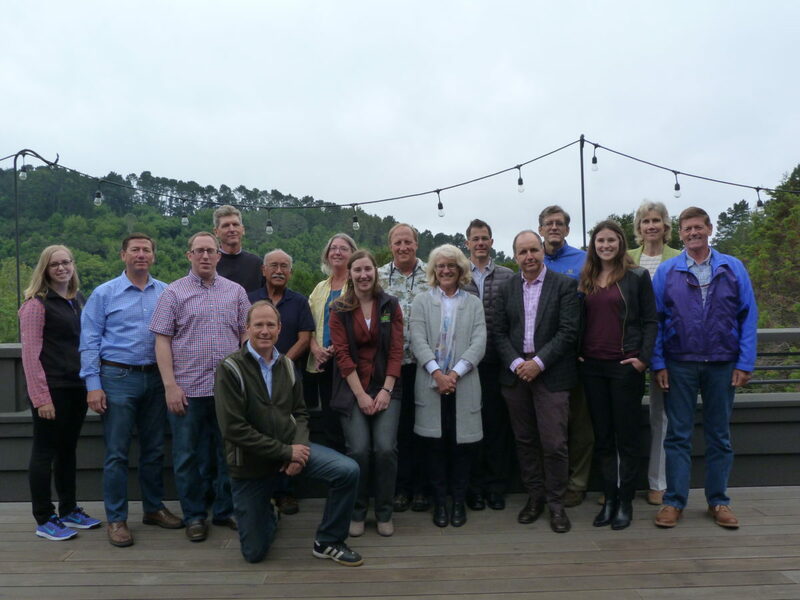 Over ten years ago, PlantRight assembled this leadership group that we call Cal-HIP to help us engage industry to voluntarily stop the sale of invasive plants in ways that make economic sense. Since the release of the first invasive plant list in 2006, 19 priority invasive plants has become a list of 7, as plants no longer sold are retired and new plants are added in a data-driven and collaborative process. Every year we meet at a plant-related destination to report out on program progress and challenges, and tap our Steering Committee’s collective wisdom on thorny issues. From left to right: Stephanie Falzone (PlantRight), Chris Zanobini (California Association of Nurseries and Garden Centers), Joshua Kress (California Department of Food and Agriculture), Jon Reelhorn (Belmont Nursery), Doug Johnson (California Invasive Plant Council), Angel Guerzon (California Native Plant Society), Sarah Reichard (University of Washington), Christina Kohler (PlantRight), John Randall (The Nature Conservancy-California), Ashley Boren (Executive Director of Sustainable Conservation), Dan Glusenkamp (California Native Plant Society), Dean Kelch (California Department of Food and Agriculture), John Keller (Monrovia), Lee Stapleton (Sustainable Conservation), Jan Merryweather (PlantRight), Nicholas Staddon (Mountain States Wholesale Nursery & Village Nurseries). After a warm welcome by recent New York Botanical Garden transplant and current garden director Eric Siegel, my colleague Jan Merryweather introduced the day’s agenda. First up? I shared the results of our annual nursery survey. This critical data was collected by over 170 volunteers from the UC Master Gardener program, California Native Plant Society, and other organizations. With training from a webinar, a plant ID guide, camera, and data sheets at the ready, these volunteers traveled to nurseries in 46 counties to survey 302 nurseries for invasive plants. Survey data is a big deal because it: helps us track invasive garden plant trends; shapes our invasive plant list (what plants to add or “retire”); and, informs our strategic direction. If you’re as data driven as we are, you’re sure to enjoy the 2016 Survey Fact Sheet and comprehensive survey report. You can find fact sheets and reports on the survey page of our website. Christina announcing our official partnership with Lowe’s and Orchard Supply Hardware in California. 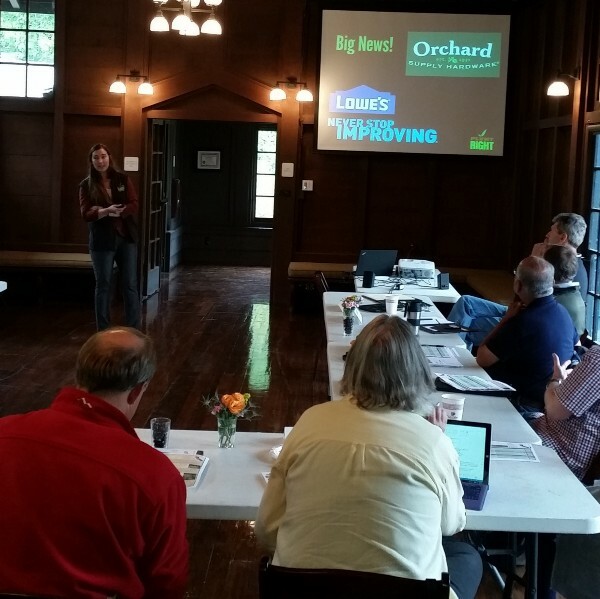 Next, our Project Associate Christina Kohler presented updates on our Retail Nursery Partnership program. 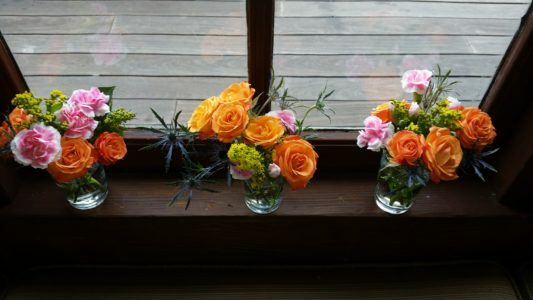 Joining us in May, Christina has revitalized our efforts to recruit retail nursery partners. High Country Nursery in Riverside County is one of the new partners she’s recruited, bringing our number of retail partners to 20, and the number of storefronts to 447. Screenshot shows “similar climate” results of PRE Climate Match tool for California. Then our Senior Project Manager and plant pun extraordinaire PREsented about our Plant Risk Evaluation tool, which we call PRE. Our vision for PRE is to equip the nursery industry with a practical, science-based tool to know before you grow if a plant poses an invasive risk in any regional markets. This means the industry can use the tool to prevent future invasive garden plants from taking root. It’s also a tool that’s pretty important in our annual plant list process. Newsworthy items here include PRE’s climate matching tool (developed in collaboration with GreenInfo Network and Cal-IPC) to increase consistency, and ease-of-use when answering all climate-related questions. 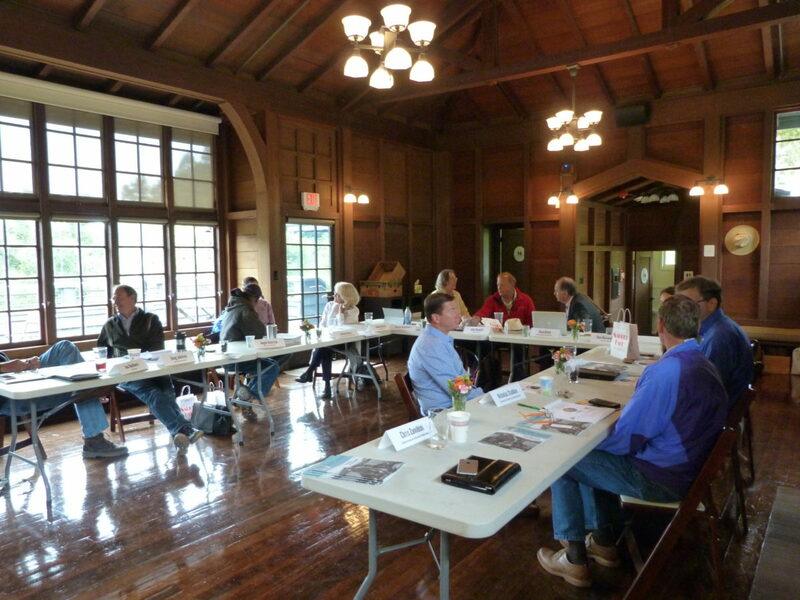 Afternoon strategic planning session, in newly (2015) transplanted Julia Morgan Hall (built in 1911). 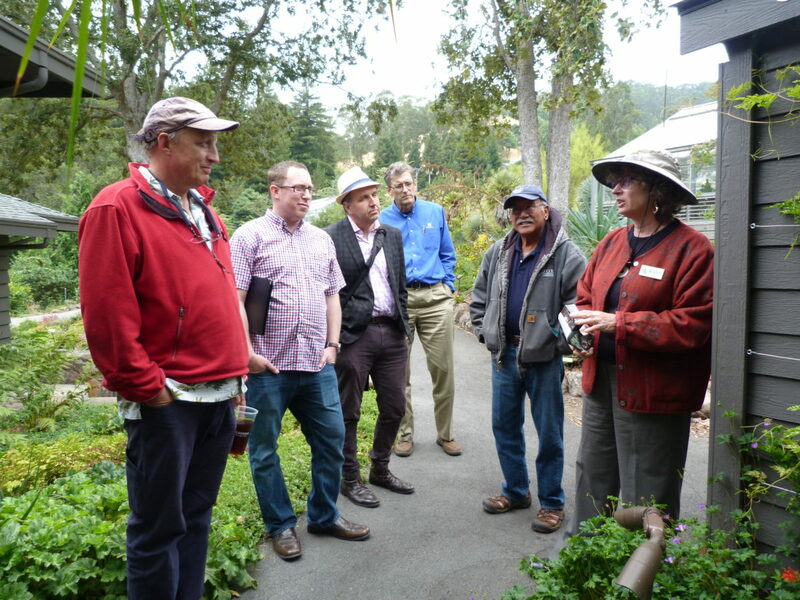 A highlight of our day, and a memory we will always enjoy, was the fascinating tour of the University of California Botanical Garden with Curator Holly Forbes. (Thank you, Holly!) What was scheduled as a 1-hour tour turned into an exquisite 2-hour adventure. There’s so much to see in the garden that it would require several visits to really take it all in. Holly Forbes regaling Cal-HIPsters about an as-yet-undescribed species climbing this building’s wall. On our tour, we traveled around the world from deserts of the Americas to southern Africa, Asia, Australiasia, South America, Eastern North America, and eventually back to California through the oak knoll and past pipevine swallowtail caterpillars (Battus philenor) munching on their host plant, the California (Aristolochia californica). Here’s a small taste of our travels with Holly. 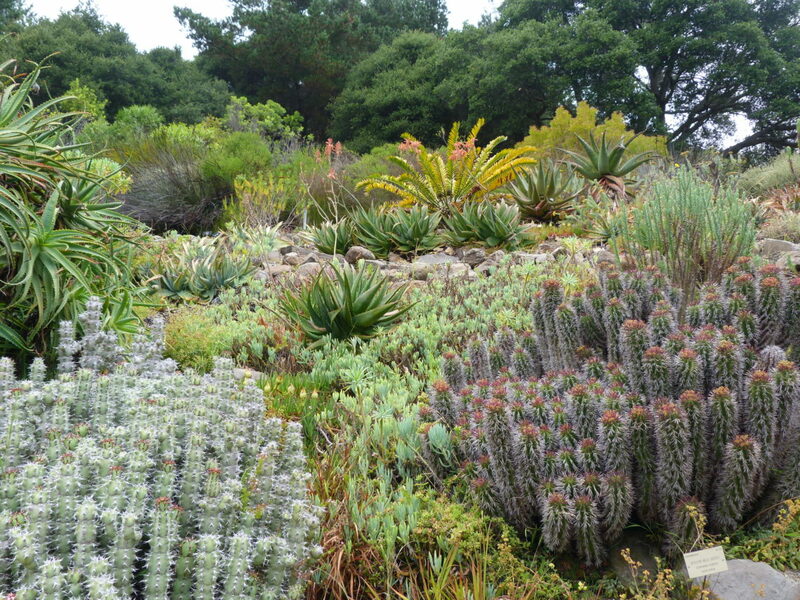 The Southern Africa section, with euphorbias in the front, aloes in the middle, and a cycad in the back. 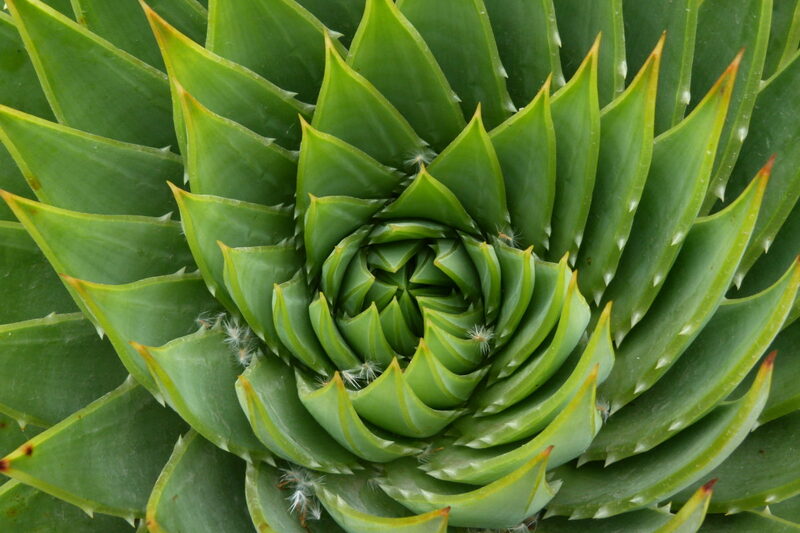 Endangered in its native habitat and highly sought after by succulent collectors, the Spiral Aloe (Aloe polyphylla) is adapted to high altitude conditions in the mountains of Lesotho. It’s notoriously difficult to grow, making this approximately 12-inch in diameter specimen even more special. These things came from a tree??? A monkey hand tree (Chiranthodendron pentadactylon) to be precise. 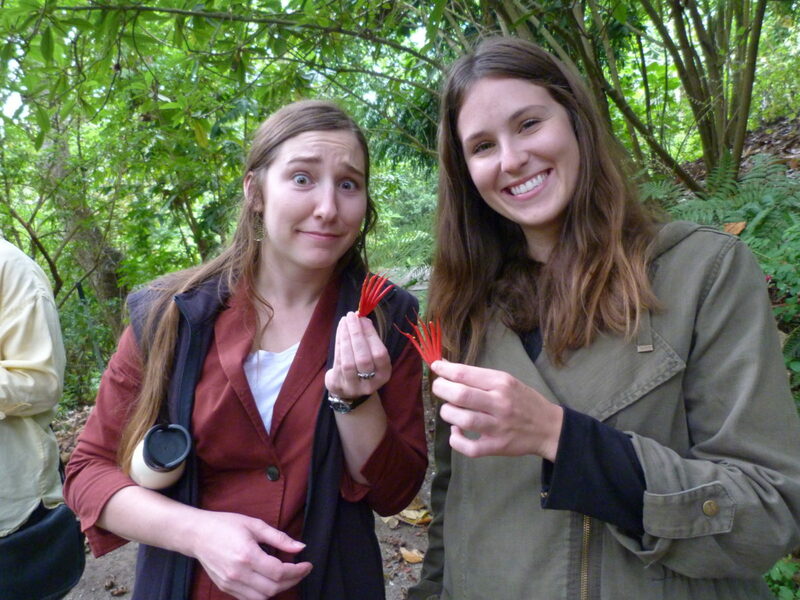 Native to Guatemala and southern Mexico, inside each cup-shaped blossom are red hand-shaped stamens with bright yellow pollen on one side, being held by Christina Kohler and Lee Stapleton. 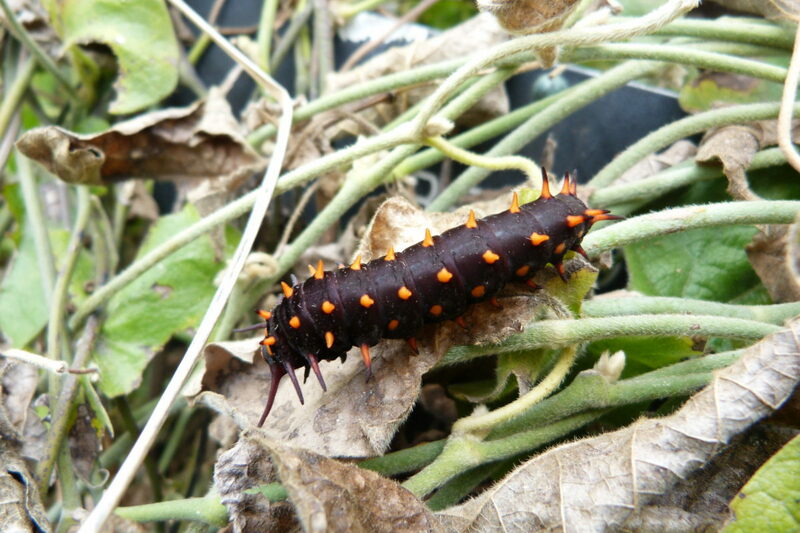 Pipevine swallowtail caterpillar (Battus philenor). A rare species being brought back by a scientist at the California Academy of Sciences. 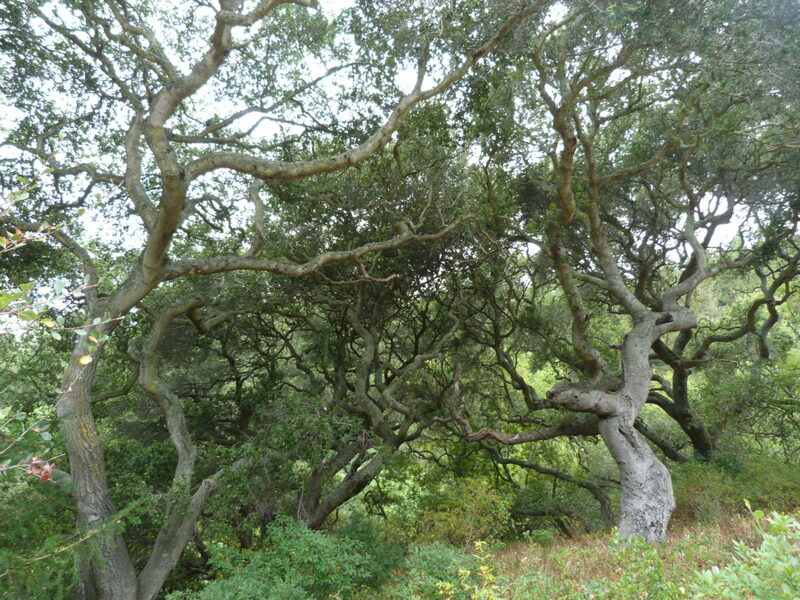 Coast live oaks (Quercus agrifolia), a California treasure. It was certainly a fun, informative day. We are so grateful to the members of our Steering Committee for taking the time to be there and for sharing their knowledge and experience with us. We are also grateful to Holly Forbes and the UC Botanical Garden at Berkeley for hosting us and providing us with such a wonderful tour of the garden. Having such engaged and diverse leadership on our side has been key to PlantRight’s success in promoting exclusively non-invasive plants for California, and we couldn’t do this important work alone. On August 29, PlantRight tragically lost a member of our Fellowship of the Plants. Sarah Reichard passed away suddenly while leading a botanic garden tour in South Africa. Sarah left us far too soon, yet we find some solace that her life’s work shall continue to nurture and inspire generations of botanists, ecologists and countless gardeners around the globe. PlantRight is particularly grateful for her mentoring, vision and leadership in getting our Plant Risk Evaluator (PRE) tool research off the ground, with then graduate student, Lizbeth Seebacher. Sarah’s contributions, like any sustainable landscape, promise a better today and tomorrow for people, nature and communities.